this is damn cool! 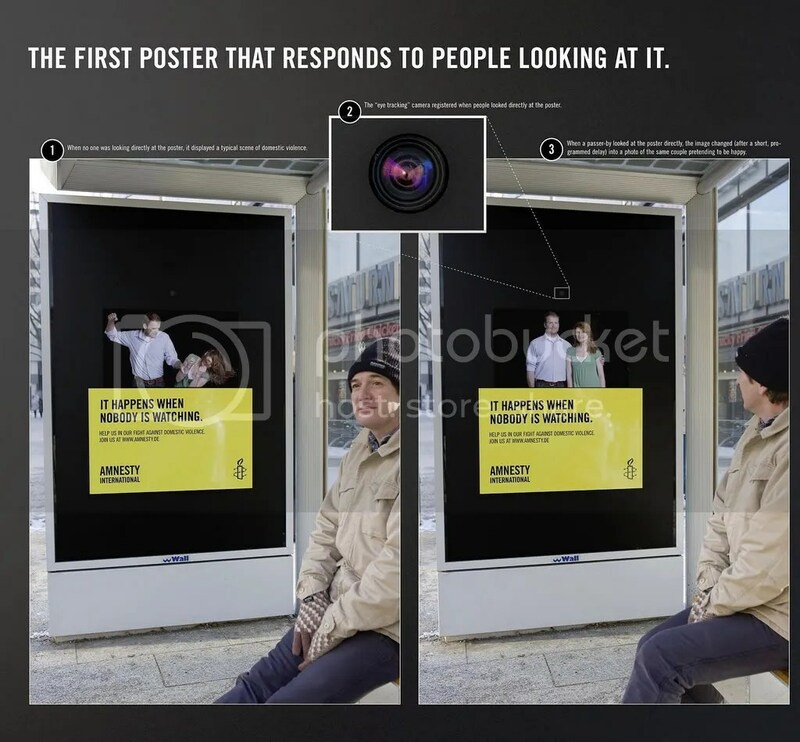 when you look away from the poster, it shows the man hitting the woman. and when the camera detects you looking at the poster, it then shows a couple pretending to be happy.